FF Corse Instructors are carefully selected to best suit the needs of the individual member or guest. Every instructor currently has, or has had, a successful racing career themselves and has a wealth of instructing experience, working with novice and experienced drivers alike. Only the best are chosen to be selected as FF Corse approved and our list of instructors can be found below. Experience covering over 20 years and over 3000 days on track. 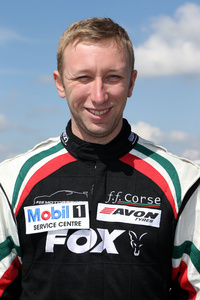 BritCar Champion in 2003, 2006 & 2011. To date he has contested sixteen 24 Hour races including Le Mans, Daytona, Nürburgring, Zolder and Silverstone. 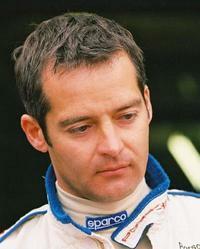 In 2004 he competed at Le Mans in the first ever Diesel powered Sports Prototype LMP1 car. His extensive on track experience combined with his knowledge from a scholarship study of Psychology ensures you get the most from your coaching. Calum has raced in everything from vintage cars including Enzo Ferrari’s Alfa Romeo P3 Grand prix car, through single seaters, Caterhams, Radicals, Touring cars, GT cars ( including Porsche, Ferrari, Marcos, McLaren F1GTR, Mosler, and BMW) and Prototypes. Jamie is an MSA Grade A licensed Association of Racing Drivers Schools Instructor, over the years Jamie has coached drivers to success in many series including GT Cup, Britcar, British GT and Ferrari Open. Jamie has been coaching drivers at FF Corse since 2009 and has driven for the team in Ferrari Open, British GT and GT Cup. Started racing karts 100cc,125cc long circuit, 250cc short circuit. Won 100nw champs, runner up 1987 125cc British long circuit champs, winner 1987 ‘O’ plate. Sponsored by David Coulthards father. Moved to cars in modsports midget, TVR Tuscan Challenge, Fiesta XR Challenge, UK renault clio champs, 2003 Ford Fiesta Champion. with three lap records, Renault Spiders, Formula Ford, Ford Puma, British GT. Work for all the major circuits in Britain. Taught drivers in all classes of motorsport, touring cars, sports cars, and classic racing. Worked on new car launches for all the leading manufacturers, Ferrari, Maserati, Mercedes, BMW, Audi, Vauxhall, Ford. 2005 & 2006 Ferrari Instructor of the year. A Chief Instructor with many accolades who is well respected throughout the motorsport industry. Also a handy racer! 24 years competition as a professional race driver ranging from single seaters to endurance sportscars. Encompassing 5 seasons in Formula 3000, two Le Mans 24 Hours and Formula 1 testing. Instructed with Ferrari since the inception of their track driving programme (Instructor of the Year 2007)!!! Phil is an extremely experienced and successful driver who has raced in many International Championships and races. A highly experienced race coach at all types of level. 2004 – 2006 Formula Ford 2000. 2nd place overall in 2004 and 2006, Multiple race wins, pole positions and fastest laps. 2007 – BARC Formula Renault. 3rd overall, best rookie with 1 race win, 3 poles and 1 fastest lap in 2007. 2008 – BARC Formula Renault champion – 5 wins, 3 2nd’s, 1 3rd, 6 fastest laps and 3 poles from 10 races. 2009 – FIA Formula Two Championship or Formula Renault UK. Ollie is a rising star and recently won the BARC Formula Renault Championship in convincing style.A great future British racing prospect. Raced in Karts, Formula Ford, British Formula 3 and GT’s for the past 15 years. Currently racing in the British GT Championship, Carrera Cup and Britcar Championships. Driver coaching experience in British F3, British GT, GT Cup and Carrera Cup amongst others. 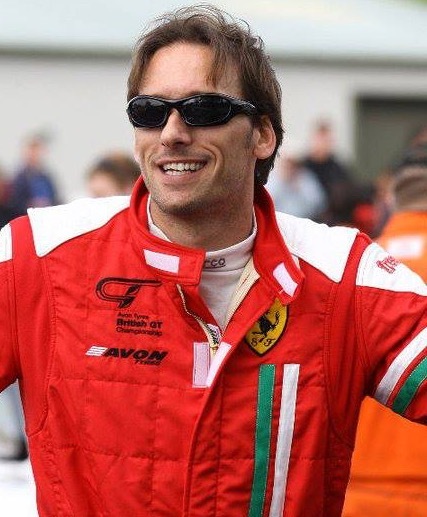 A leading specialist GT driver and coach, with extensive Ferrari experience both racing and instructing. 2002 – 2007 radical enduro Championship, Britsports, British GT, Britcar 24hr, VW Fun Cup 25hr, VW Fun cup championship, Historic mini racing. 2008 French V de V Championship, Uk V de V Championship, Britsport Championship, Fun Cup 25hr, Historic gts in TVR, VW Fun up championship. 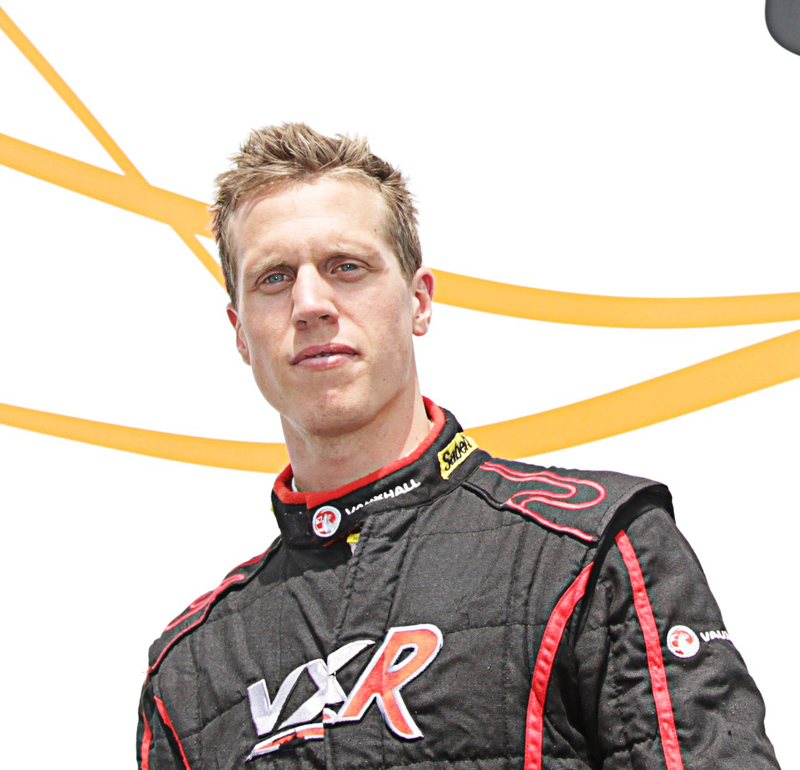 A sports car specialist with proven speed in all formulas he has competed. A regular instructor with Ferrari since the inception of its driving programme. Mike has competed at the highest levels in motorsport, including F1 and is a leading UK instructor. Scott Mansell has over 15 years of top level racing experience. Formula One cars, F3000, IRL IndyPro, F3, Porsche Carrera Cup & DTM (Mercedes) are just a few of the categories that he has either raced or tested within, always achieving great success. Ferrari, Porsche, Ford, Mercedes, F3, GT Cup, Silverstone, Brands Hatch, Spa, Nurburgring to name a few. Scott is a calm, precise and in depth instructor with experience of modern F1 cars. Outright lap holder at Donington Park. Hugely experienced racer who has competed successfully in tin tops (BTCC) sportscars (TVR, Lotus etc.) and open wheel formulae from FFord & F3 through F5000, Indy/CART and on to F1 GP. Ian’s passion for racing has also taken him to other forms of racing including 600/750 AMA Superbikes and National/World Championship GP Sidecars. Presently racing Historic 1962 F1 Grand Prix car with considerable success. Respected & award winning race-instructor/driver coach with full ARDS certification and wide experience in UK schools. Has been coaching since 1990. Group and 1 to 1 coaching as well as working with drivers on car set up, technique and performance. Intimate knowledge of circuits worldwide, from coaching and racing experiences. A very experienced instructor & racer, with excellent communications skills and a great enthusiasm for the job. 1997-2008 race wins and podiums across UK/Europe and North America in Single seaters, Sportscars and saloons. 1997 3rd National Formula First Championship. Missed final three races, scored one win, three pole positions, four fastest laps, one lap record, eleven podium positions. 1998 Selected races in Formula Ford and Formula Renault. Several podium finishes. 1998/9 Won Rookie of the Year in American 2.0 litre Formula Dodge Series – several wins and 10 podium finishes. 1999 Competed in eight BARC Formula Renault championship races. – Finished fourth in championship – missed four races, scored three wins, five pole positions, two fastest laps and two lap records. 2000 Competed in four races of American RT 2000 Formula Dodge Series – 3 wins and 1 DNF, 2 pole positions, 2 fastest laps. 2001 Finished third in Radical Enduro Championship with K2 Race Engineering, despite having missed first four races. 2002 Won at Brands Hatch in one off Radical Enduro race. For remainder of season worked as test driver and coach for K2 Race Engineering. 2003 Seat Cupra Championship- One podium finish. 2 DNF Missed one round. 2005-2007 Raced in BRITCAR and selected Dutch supercar races in various BMW M3 E36/46 9 wins, Several Fastest laps and podium finishes. 2008 Raced BMW V8 GTR in BRITCAR-one win. 10 years experience instructing and coaching across Europe, including car control and dynamic driving courses. Represented most manufacturers including Ferrari, Mercedes, Jaguar and BMW in Europe and USA. Precision and performance driving for Auto Express, Top Gear Magazine and Shell. Andre is a professional driver and instructor with multiple race wins in different disciplines. 2008: SR8 Radical Championship, European V de V championship, Britcar 24 hour, Radical european masters. Ferrari, Maserati, Thruxton motorsport centre, Radical sportscars, Mercedes, BMW, Mini, Alfa Romeo. Ross is a multiple sportscar Champion from 2003 & 2004 and an experienced Ferrari Challenge racer from 2006. His laid back demeanor belies his speed and depth of instructing knowledge. 15 years of personal 1-1 tuition in FWD, RWD and 4WD, superb knowledge of circuits in UK, throughout Europe, North America & Japan. Extensive experience of working with Ferrari as well as Lexus IS-f, Nissan GT-R, Jaguar XKR and is currently one of the Senior Instructors at the Silverstone Motorsport Academy. ARDS Grade ‘S’ Licence Holder. A proven race winner with a reputation for technical excellence combined with an enthusiastic style of coaching. Often found in the back of the race truck with the lap top and a circuit diagram! Youngest driver to win two National Championships back to back. Leyton has extensive experience racing and coaching in a very wide variety of GT cars. He usually likes to take a calm but precise approach to working with and coaching drivers. A regular in the paddock due to his role as chief instructor to one of the worlds largest track day organisations. Having spent 15 years as a pro driver alongside Gentleman drivers as well as Instructing on a one to one basis Adam has a wealth of experience in helping drivers get the very best from their driving on circuit as well as race craft. Adam has a no nonsense approach and is very motivated to help drivers succeed either as a serious track day or racing driver. 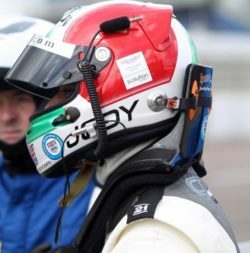 Jody is an “A” grade ARDS instructor with experience working with JRM, Aston Martin Racing, JHR (Ginetta Junior Team), BMW Performance Experience at Goodwood. He has also coached drivers in British GT, GT4 European series, GT Cup and Britcar. He is also a BRDC rising star.